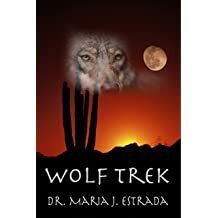 MARIA J. ESTRADA is an English college professor of Composition, Literature, and her favorite, Creative Writing. 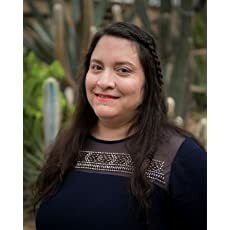 She grew up in the desert outside of Yuma, Arizona in the real Barrio de Los Locos, a barrio comprised of new Mexican immigrants and first-generation Chicanos. Drawing from this setting and experiences, she writes like a loca every minute she can--all while magically balancing her work and family obligations. She lives in Chicago's south side with her wonderfully supportive husband, two remarkable children, and two mischievous cats. 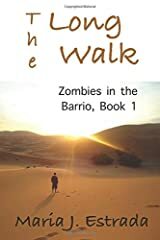 You can learn more about her other books and writing happenings at barrioblues.com. 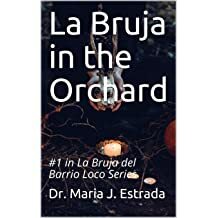 I FINALLY, got my fifth 5-star review of La Bruja in the Orchard. (In case you are interested, the eBook is free through Monday, 4/22.) Many independent writers know how hard it can be to get book reviews. That is why I try to do thorough reviews, every time I read any book. Book reviews are quite easy to post, and they help writers with rankings, which are crucial in this business. That's right! Get your free eBooks this Easter weekend! I am really excited about the redesigns of both books; I also redesigned the printed versions of these two pubs. If you download the eBooks for free, please give them a kind review on Amazon and/or Goodreads. What else is free? 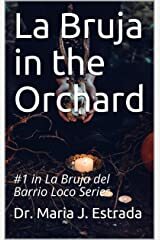 May 1, I will be releasing my next freebie for newsletter subscribers, an installment of La Bruja in the Orchard. 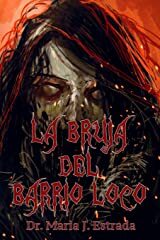 In it, you will learn more about Mona and La Bruja. Ingram vs Amazon. When I started writing books and considered where to distribute them, I am sure I researched this question and went with Amazon. What kind of stories grip you, busy reader? One of my friends and beta reader raised this question. Do the stories evoke feelings? Will they interest the person with a million things to do? A reader like you? 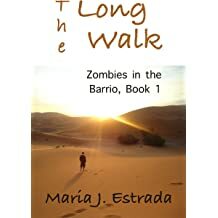 On Sunday, I spent most of my morning reformatting the ebook for The Long Walk. Then, I had to reformat the printed version, which is still being processed. 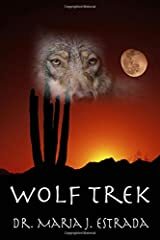 The content is the same, but after I published my freebies, I realized I had to reformat the other ebooks on Amazon to make them compatible on various ereaders. (1) Copy editor, (2) Editor, and (3) Cover Designer. None of these elements guarantees success because getting exposure and marketing are whole different animals. Still, you get the point. Well, yesterday, I had my first-ever test virtual release party. Woo hoo! I learned a great deal. (1) The problems your foresee may not happen at all. I had no tech issues. Wait, that's not totally true. I couldn't get the printer driver to work on my new laptop, so I couldn't read the story off paper which is my forte. (2) The problems you did not foresee should not drive you crazy (kids crying and photo bombing). 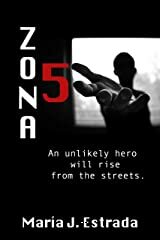 The story, "Zona 5", is live on Smashwords, and it turned out great because of the amazing feedback I got from beta readers and my new copy-editor, Ian Liston. This evening's virtual release party is still on. I am going to read for about 10 minutes. You will need Facebook to watch the live stream, but try to make my virtual release party! 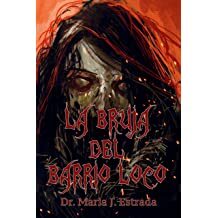 Dr. Maria J. Estrada, "The Long Walk: (with Paranoia: The Corrido of Andrea Quinta) (Zombies in the Barrio)"
I enjoyed my first release party so much, I am going to have another release party the first of the month. The party will be happening on my Author Wall, Live. 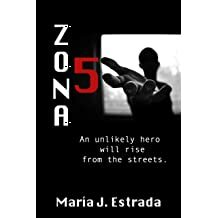 http://facebook.com/drmariajestrada/ You also get to decide the genre of my next story! What will it be? Horror? Science Fiction? Magical Realism? Serious Fiction? Something else?